Odoo SA, A Belgium Based company had initiated certain legal proceedings against the Tech Receptives Solutions Pvt. 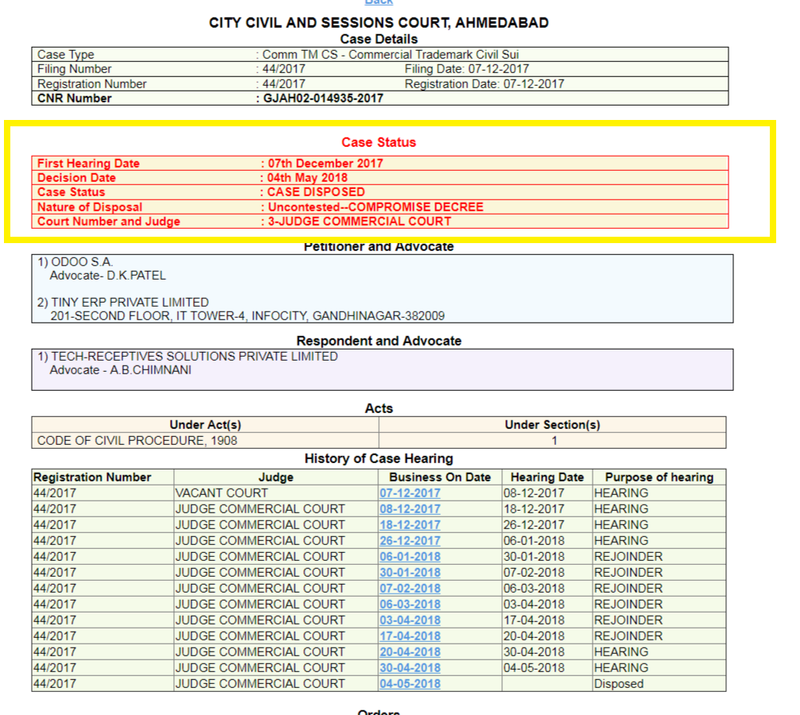 Ltd. (Developer for Flectra) before the Hon’ble Commercial Court at Ahmedabad, Gujarat State, India. Both the parties through their learned advocates have now amicably settled the matter out of the Court and the matter has been disposed off on 04.05.2018 upon certain mutually agreed terms and conditions dated 20.04.2018 filed in the Hon’ble Court. What does this mean for developers ? Hence the matter has been sorted out by both parties amicably without any prejudice or grudges, developers can now develop modules, apps, themes without any fear from anyone. Due to their existing knowledge of similar technologies, they now have a new technology option to add to their development portfolio, Flectra. What’s in for partners and integrators ? Any company who wishes to offer Flectra to their customer or push it as the solution, can now do it without any doubts. We are thankful for all the community, friends and family members who stood by us in the meantime and believed in our ability. We are committed to create better software which everyone loves to use.